The timeless style of IROQUOIS is apparent at first glance. Built by legendary shipyard Feadship, and with an interior designed by the renowned Glade Johnson, the 164′ (50m) Feadship IROQUOIS is the type of vessel that never goes out of style. 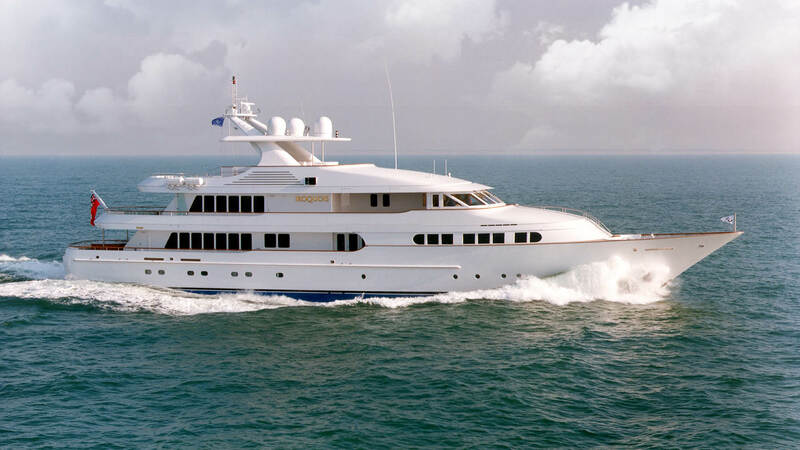 She can accommodate 10 guests in 5 staterooms, with crew accommodations for eleven. With huge interior volume, luxurious staterooms, large deck spaces, and a great selection of toys, IROQUOIS has everything a family needs to cruise both comfortably and in style. Moran Yacht & Ship negotiated the build contract for IROQUOIS, wrote the technical specifications and managed the entire build process for the vessel. Our team was by the owner’s side from concept well through completion.